Today I'm featuring a book club read, The Museum of Extraordinary Things by Alice Hoffman, which I received from the publisher, Scribner. You would think it would be impossible to find anything new in the world, creatures no man has ever seen before, one-of-a-kind oddities in which nature has taken a backseat to the coursing pulse of the fantastical and the marvelous. I can tell you with certainty that such things exist, for beneath the water there are beasts as huge as elephants with hundreds of legs, and in the skies, rocks thrown alit from the heavens burn through the bright air and fall to earth. There are men with such odd characteristics they must hide their faces in order to pass through the streets unmolested, and women who have such peculiar features they live in rooms without mirrors. My father kept me away from such anomalies when I was young, though I lived above the exhibition that he owned in Coney Island, the Museum of Extraordinary Things. Our house was divided into two distinct sections; half we lived in, the other half housed the exhibitions. In this way, my father never had to leave what he loved best in the world. He had added on to the original house, built in 1862, the year the Coney Island and Brooklyn Railroad began the first horse-drawn carriage line to our city. My father created the large hall in which to display the living wonders he employed, all of whom performed unusual acts or were born with curious attributes that made others willing to pay to see them. 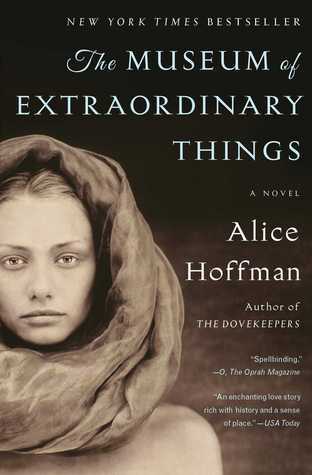 I've devoured many Alice Hoffman novels over the years, so every time a new one is published, I consider reading it. 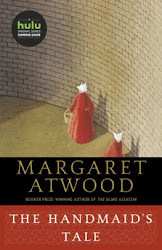 While this is not her newest book, it has been on my list for a while now. One of my book clubs will be discussing it at the end of the month. First Chapter ~ First Paragraph #135 was originally published by Catherine for bookclublibrarian.com. This post cannot be republished without attribution. Retweeting and sharing on Google+ encouraged.